No more camping out by the door and dreaming of the mailman! The 3D models on the following pages are similar to what you will be receiving in the mail. 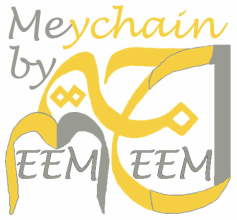 You can use your mouse to rotate (left click), move (right click) and zoom (wheel) into the Meychain. The actual Meychain you receive may be slightly different, but it will be a high quality metal keychain. Can't find your name or have a different spelling? Don't worry! Click here or go to the "Other" page and we'll work on your Meychain next. You'll be notified when your Meychain becomes available.